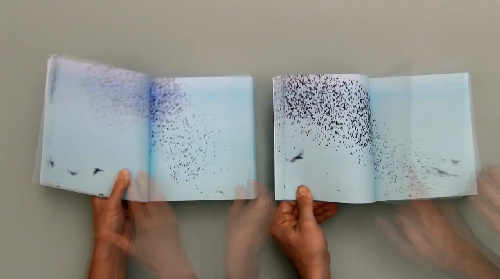 Volumes with Flock, 2012. 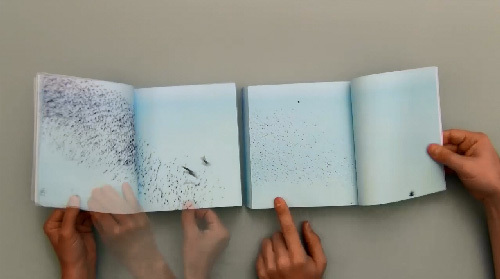 7.5 x 6.75 in., 500 pages, softbound digital-offset printed book and 39-second video. The books and video are intended to be viewed together. The two books in the video are different copies of the same book, paged through at different speeds.